Former winger Steve Froggatt has tipped Wolves to stay in the Premier League and points much of the success at striker Kevin Doyle. Froggatt believes Doyle could play for any Premier League club. 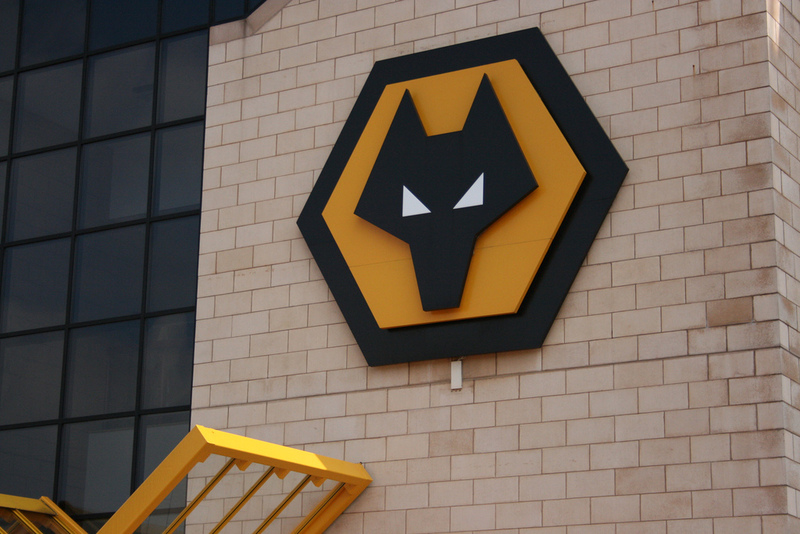 Froggatt made 111 appearances for Wolves during a spell four-year-spell at Molineux and he thinks what Mick McCarthy has done for Wolves is remarkable. Froggatt said: “When you consider the constraints McCarthy was put under it has been a brilliant achievement. Kevin Doyle was a great signing, I think he could play for any Premier League club in the country at the moment. “Any team that comes up from the Championship and finishes fourth from bottom has done great. He (Mick McCarthy) has got together a really good and young team. The thing for me is that they all look really strong and fit. It would be great next year to see all four West Midlands clubs in Premier League next year if West Brom can get up which looks likely. Another one of Wolves’ unsung heroes Karl Henry has been praised by Froggatt who thought he was Wolves’ best player against Aston Villa last weekend. Another set of games over and Wolves have run out the big winners. Portsmouth beating Hull was a huge result for Wanderers and I cannot express my gratitude towards Nwankwo Kanu enough. Saturday’s draw at Villa could really be pivotal in our chances of staying up. I was so worried that Messrs Downing, Young and Milner would pick us apart but in the end both goals were unlucky. The first was clearly offside as John Carew checked back onside after the ball was played to slot it past Hahnemann and the second Carew ran in between defenders to guide it into the corner. Although we played well we have been very lucky and aside from the two goals on Saturday we didn’t force Brad Friedel into a meaningful save. But hey, we’ve been on the wrong end of some terrible luck ourselves along with some baffling refereeing decisions this season so anything lucky or fortunate that comes our way I’ll take. Tomorrow’s game at West Ham is a difficult one to call. I’m thinking…Upton Park, intimidating place to go, fans right on top of you etc. On the other hand, you think well West Ham have to be on the fringes of the relegation zone for some reason. Omens aren’t on our side as far as broadcasting is concerned. We have featured ten times on Sky Sports, ESPN or ITV this season and we have only won a single game (2-0 vs. Burnley) – lets hope we can add to that because at the moment my mates are laughing at me! 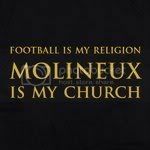 It’s crazy to think that West Ham came to Molineux on the opening day of the season and convincingly beat us 2-0. I thought they would be a decent team this season. I think coming away with a point would be a great result and it would stretch the gap between us and the chasing pack. I think we can write off Burnley, their team is dreadful and doesn’t seem to have either the quality or strength to compete at this level. *Pompey were eventually deducted nine points after going for broke and seeing it backfire spectacularly, (administration). For me it’s going to be one team from three. I think Wigan (as much as I despise them) have got enough to stay up. I’ll reserve judgement one the Hammers until after tomorrow’s game. I’ve probably only seen them twice this season so I’m not sure what they’ve got in their locker. What do you Wolves’ chances are now? Post your comments below. The game was the 100th meeting between the two sides. After coming from behind, Wolves let a goal lead slip to draw with Aston Villa at Villa Park. Wolves remained unchanged for the sixth successive game and Chris Iwelumo came back into the squad following the completion of his loan spell at Bristol City. An early offside goal from John Carew put Villa ahead before goals from Jody Craddock and James Milner meant Wolves went in at half time 2-1 ahead. Wolves parked the bus second half and after huge Villa pressure, Wanderers finally buckled ten minutes from time as Carew added a second. Man of the match: David Jones – one of his best games in a Wolves shirt. He wasn’t afraid to get in amongst it and didn’t let Petrov have too much space in the centre of midfield. Distributed the ball well to Foley and Jarvis. Flop of the match: Carlos Cuellar – turned inside out by Jarvis and Doyle and was partly at fault for both goals after being exposed. Referee: Mark Clattenburg – bit of a mixed bag from the Geordie. Doyle seemed to get pushed and pulled all voer the place by Villa’s central defensive pairing of Dunne and Collins and was given nothing. It was more the linesman that cost Wolves today as John Carew was offside for Villa’s first goal. My Verdict: Great point for the boys. Despite being ahead for 45 minutes, after Villa scored their first it looked as though it could be a mauling. Cracking comeback and we would have all taken a point before kick-off. Thoughts now turn to Tuesday’s crunch match with West Ham at Upton Park. The Frenchman has made 14 starts this term. Defender Ronald Zubar says all the pressure is on Villa ahead of Saturday’s clash between the Midlands clubs. Villa still have faint hopes of securing a Champions League spot and Zubar says all their recent success like getting to the Carling Cup final puts huge pressure on them to win. Zubar said: “Villa will be expected to win because they’re at home, so there won’t be any pressure on us. 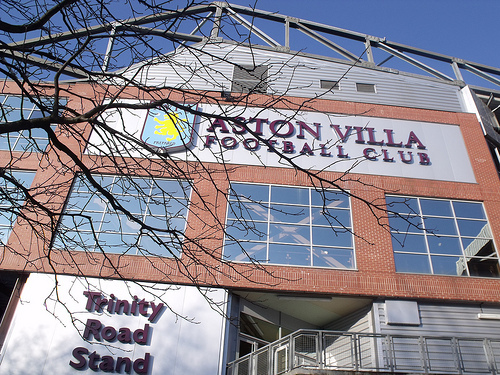 We go to Villa Park trying to do the same things – stay strong on the pitch and stay in the game. 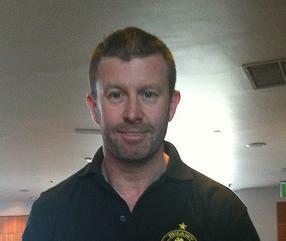 “They’re a good team – they’ve just played in the Carling Cup final and are seventh in the table. Villa is another difficult one, but we’ve been doing well away from home. “It’s a special game because it’s a derby. When we played at home it was a very tough game and we managed to draw. After a point against Stoke they will be wanting to beat us. Zubar admits that despite the success at Burnley on Saturday Wolves have to get on with the next game. He added: “It was a good performance but we still have more to do. It was an important win, because for the last couple of months we’d played very well and had created chances to score. “We have to keep it going, because we’ve got nine more big games to come. We need to keep it going and stay solid. Everyone is working on the defensive side from the front players back to the defence and goalkeeper, chasing the ball and doing what they can. *Daniel Jones has had his loan deal at Bristol Rovers extended until the end fo the season. My verdict: Zubar is right but I don’t think even the most loyal of Wolves fans can expect us to take much from Saturday. Villa have really pacey wingers (something that we really don’t have in our defence) so that will cause us problems. Good move for Jones. He won’t be involved with Wolves for the remainder of the season and I expect him to be released in the summer.